Wouldn’t it be great if we could go on vacation twice a year for six months? Unfortunately, that’s not the case, though! I recently got back from an excellent vacation to Atlanta, Georgia and I knew I had to share my trip with y’all. Do you want to see all the fun stuff I got into while in Atlanta? Keep reading! Do you want to travel to another southern city? 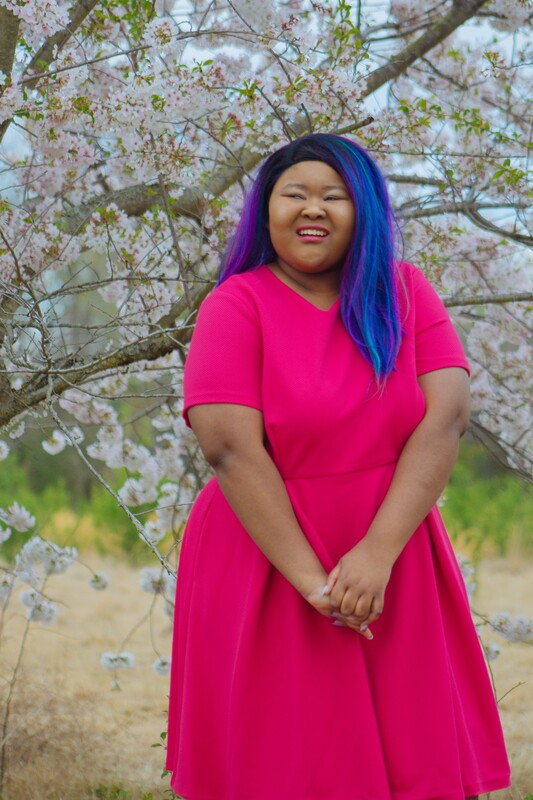 Check out my Memphis, Tennessee travel guide! 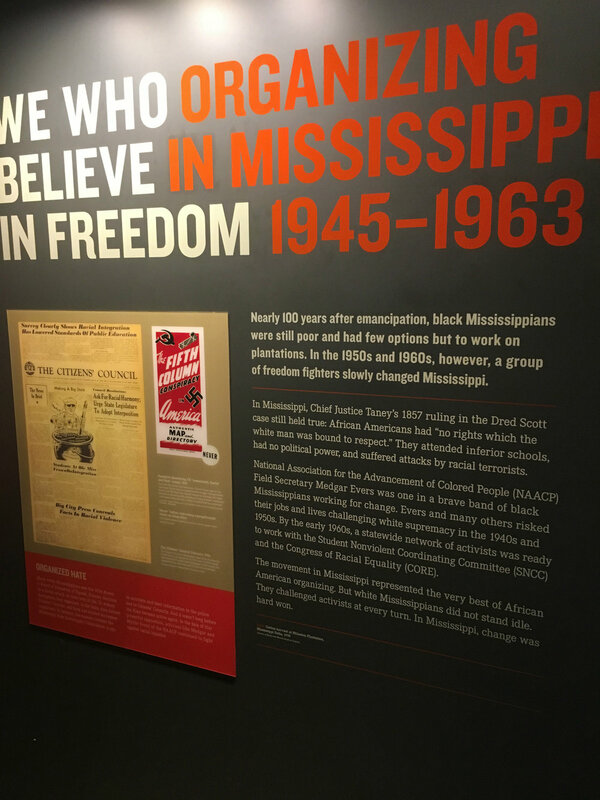 Disclaimer: Memphis Travel was kind enough to provide my ticket to the National Civil Rights Museum this time, but I sincerely love this place, and I have gone to the museum multiple times with my own family. Memphis Travel providing my ticket is not shaping my opinion of the museum in any way! 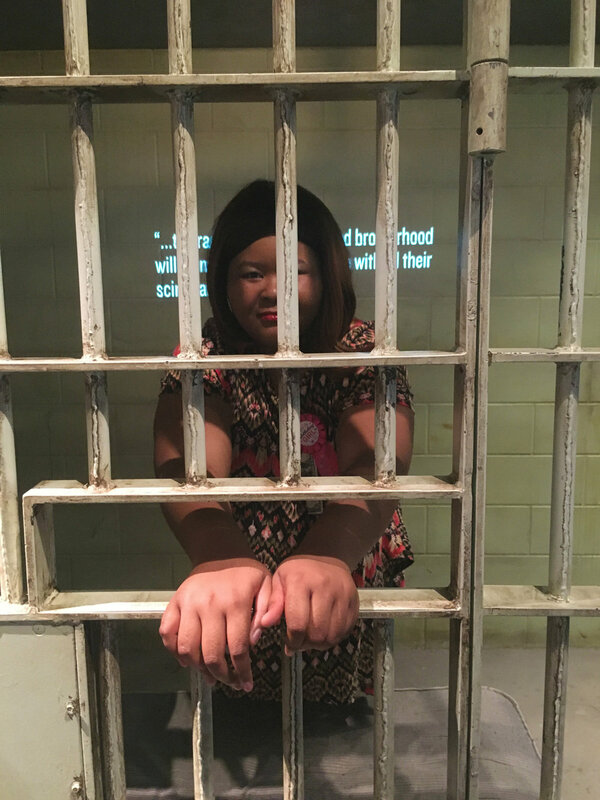 Are you in need of a fantastic museum to visit while in Memphis, Tennessee? Memphis has so many museums (here’s looking at you Stax, Pink Palace, Graceland, etc.) but I have a particular affinity for the National Civil Rights Museum. 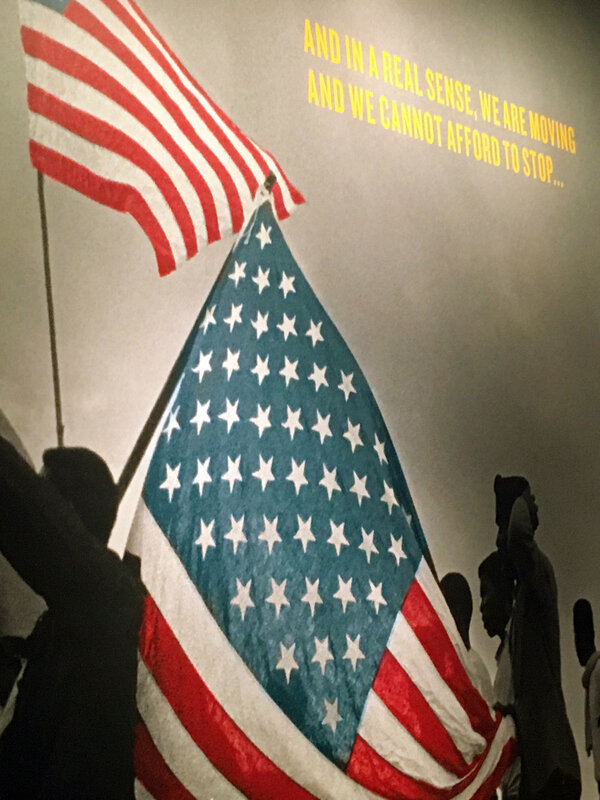 It is a crash course on the National Civil Rights movement, and it’s a fantastic museum to visit for all ages. First and foremost, the National Civil Rights Museum is located at 450 Mulberry St, Memphis, TN 38103. The museum is not too far from downtown Memphis, and you are pretty close to other fun Memphis attractions. I love how centrally located it is to other things I like to do in Memphis! 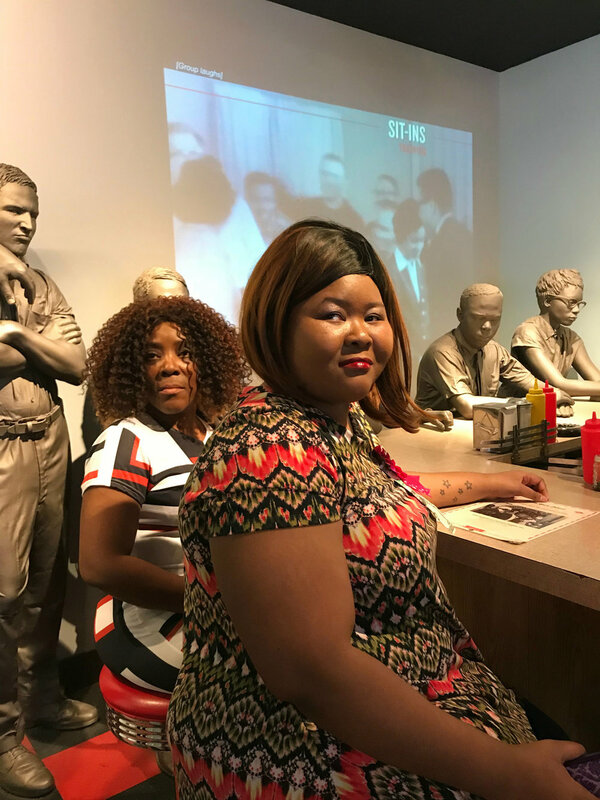 The National Civil Rights Museum is not all that pricey, but it depends on the needs of you and who you are visiting with. So, you must be wondering, how does one become a member? Simple: when you get to the museum, ask to become a member! You can fill out the paperwork at the counter! My family usually goes for the Family Dual package which saves us money even on one trip! Then you can continue to go to the museum free throughout the year if you make your way back to Memphis, TN or you live close like I do. It is a great deal! I like that it’s open every day during the weekend. The hours help you enjoy the museum during a time when most families can go. Of course, it’s completely closed on Tuesday, so if you plan to visit then, you won’t be able to go. I went on a Sunday, and it was quite busy, but it was still a great visit! If you can, I suggest going earlier in the morning. We got to the museum at around 10:30 AM. When we left at around 1 PM, the place was getting busier by the minute. You don’t want to be caught in the rush! To get into the museum, everyone had to go through a metal detector. You had to empty your pockets, big purses or bags were checked if necessary, etc. This process makes getting into the museum take a bit longer, but security is essential! Now that we have gone through some of the preliminary information let’s chat about what to expect. This museum is super interactive! You can touch exhibits, use these phones to listen to conversations with civil rights leaders, and just be engrossed in this entire movement. 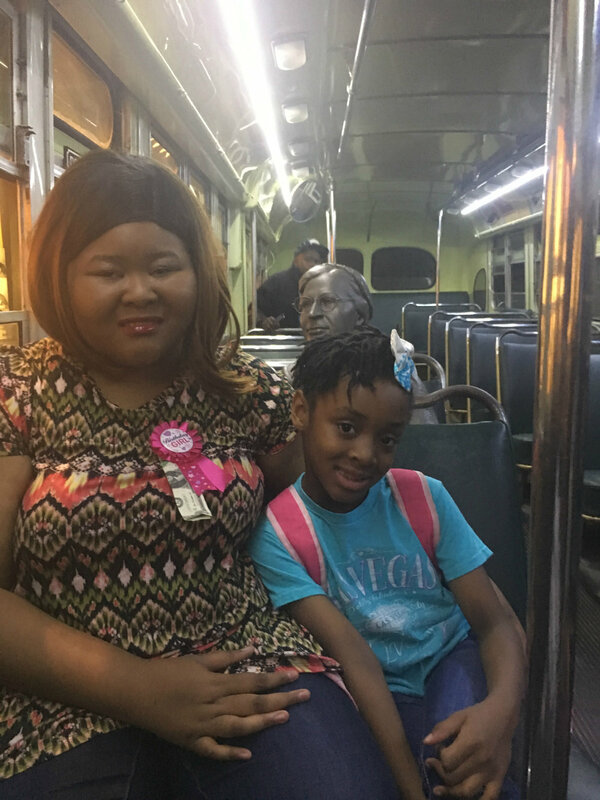 For example, there is a bus that you can get on with a statue of Rosa Parks. The entire time you are on the bus you hear a bus driver telling you to get up and move to the back of the bus. It’s a surreal experience especially since by that time you have been quite engrossed in the experience. There are so many interactive elements throughout this museum. You won’t be bored as you travel from exhibit to exhibit. This museum is packing a lot of information into one. The first building starts with slavery and ends with the death of Martin Luther King Jr. The second building talks a lot about his assassination and how we continue to move forward afterward. Yep, you heard that right; there are TWO buildings. They say you should plan to visit for at least 2 hours, but I feel like even that cuts it short. If you want to get immersed and learn as much as you can, I say a quality visit should be 3-ish hours. I have gone to the museum multiple times, and the museum hits me differently each time I go! Yep, it’s a busy attraction. Especially at the moment since they are celebrating the 50th anniversary of Dr. King’s death. To be honest, though, it’s always busy. I have never gone to the museum when it’s not busy, especially on the weekend. There are people of all ages visiting from children to seniors. The museum still seems to flow pretty well, even when there are tons of people visiting. This is something to keep in mind if you are going with anyone who doesn’t like to be around a ton of people. This is a quote from W.E.B. 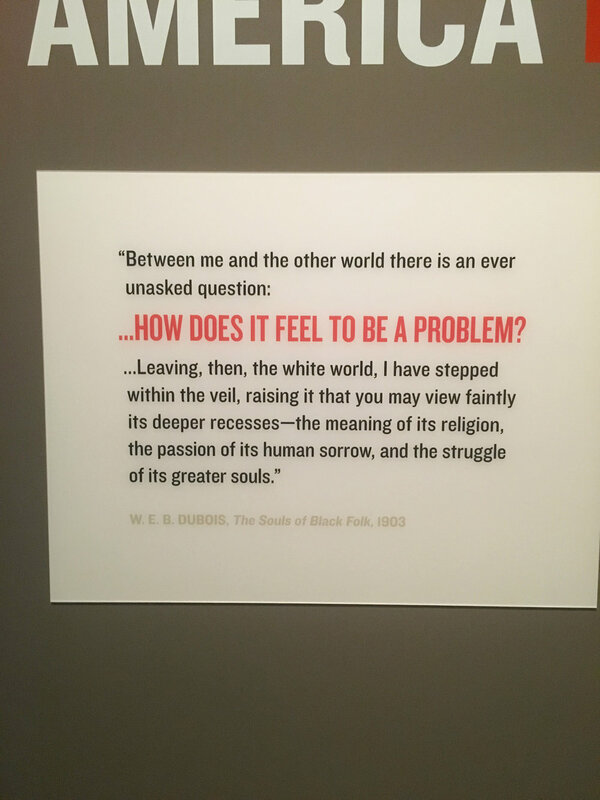 DuBois that truly spoke to me as I started the journey of visiting the National Civil Rights museum. I had to take a picture of this just so that I could share it with you. DuBois was a sociologist that I truly admire and love learning more about. If you are a sociology major and you haven’t ready anything about him I really encourage you to check out The Scholar Denied by Aldon Morris! It’s a fantastic book about his life and legacy. 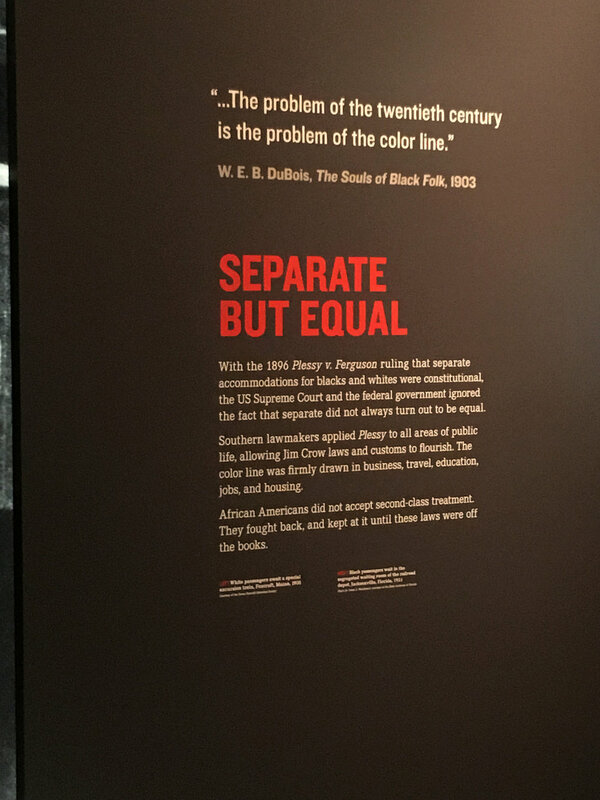 It is always so crazy to me that there was once a law in this country about segregation being okay in schools if the schools were “equal.” Looking back you could tell that the schools were never equal, and I couldn’t imagine my childhood in a segregated way. I am so proud of the strides that we have made in this country in just the last century. Now, we must make more changes for the better! This was one of quotes near the lunch counter. I saw this quote and I had to take a picture of it. We have to be willing to do what is necessary to be on the right side of history. 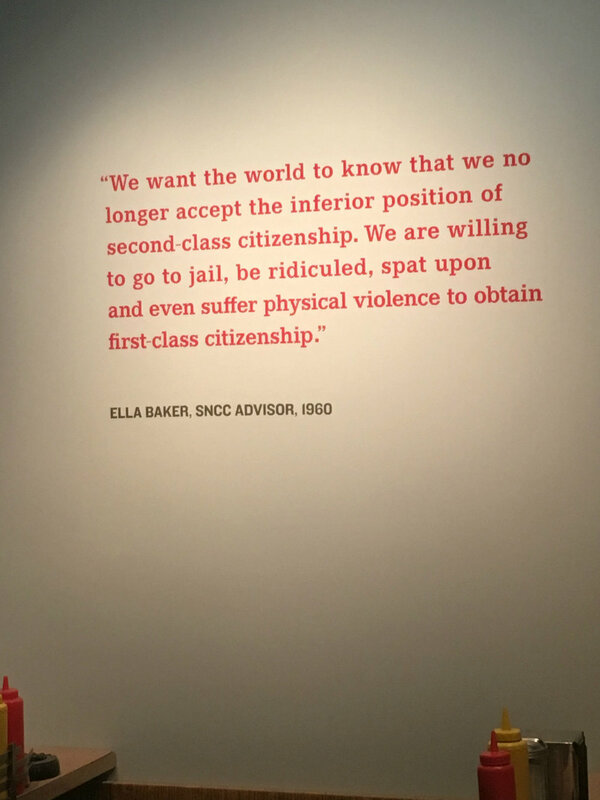 This part of the National Civil Rights Museum always gets to me. Sitting at the counter while you are hearing the film behind you is so powerful. Hearing what these people have gone through, things I couldn’t imagine. I love this picture of me and my momma at the counter. There were a ton of boycotts during this time. People taking a stand against busses, restaurants, schools, and more who didn’t live up to the American dream and American laws. I love looking at these old protest signs and thinking about all the interesting protests of this time. 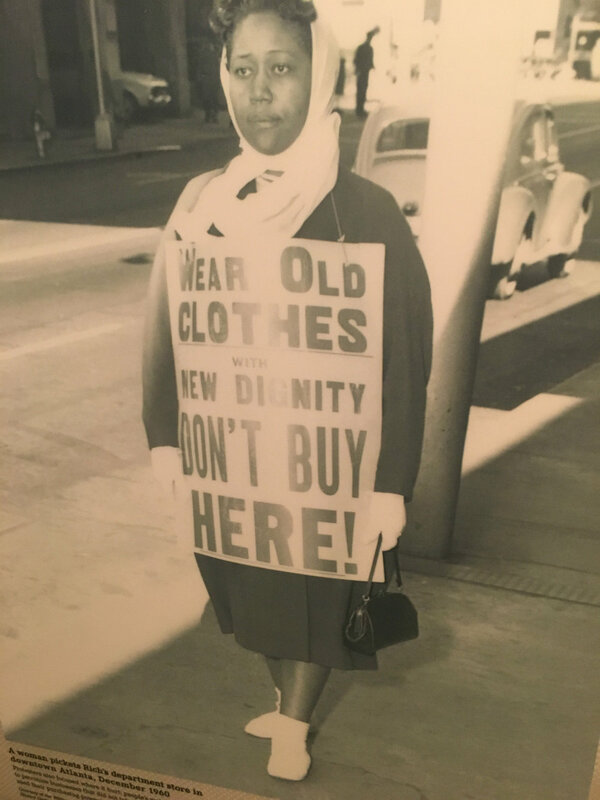 If you haven’t heard of the Montgomery Bus Boycott yet, you need to look it up. The amount of solidarity shown over a year long bus boycott always amazes me! Can A Man Love God? 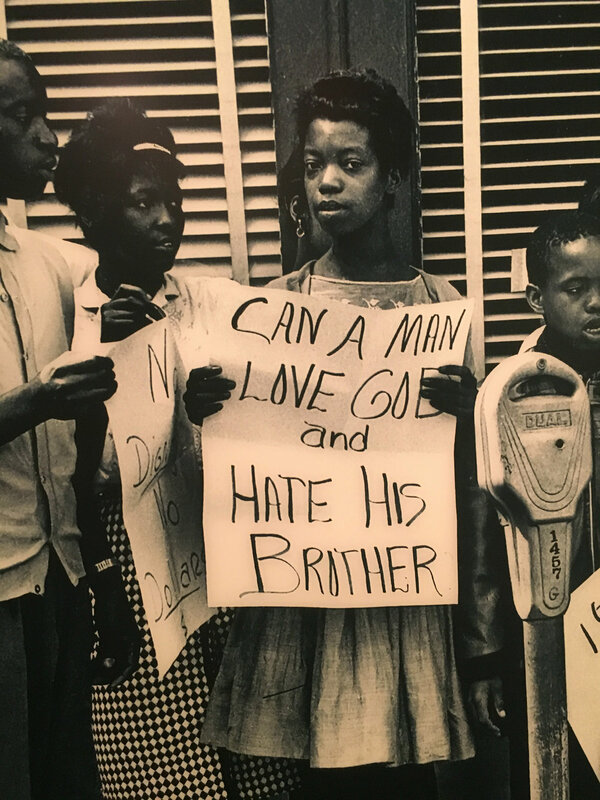 This is another protest sign that truly got to me during the museum tour. It’s a question that gets me thinking and it should make you think too. One part of history that always got to me was the use of Green books. These were published volumes that showcased places that were African American friendly. 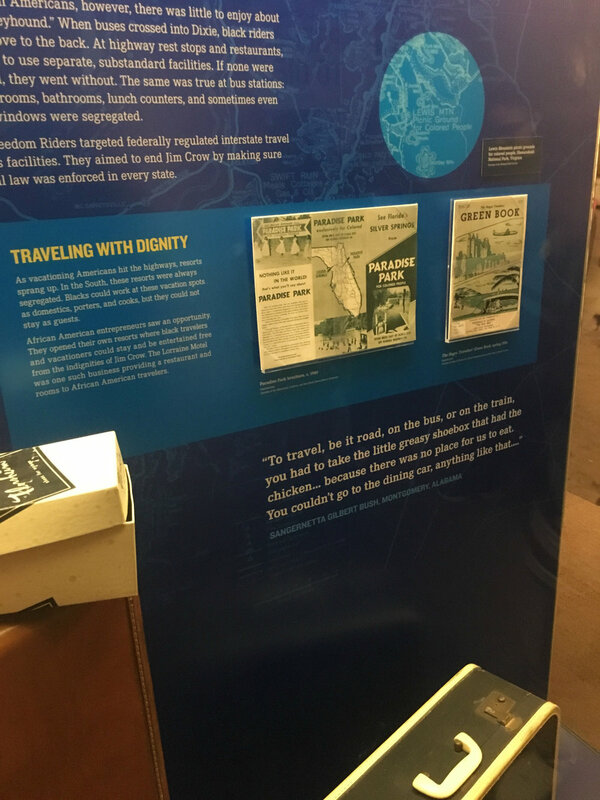 Traveling was often scary for African Americans because they were never sure what they would find on the road, these books helped them travel with dignity because it highlighted the places that would accept them and their money. 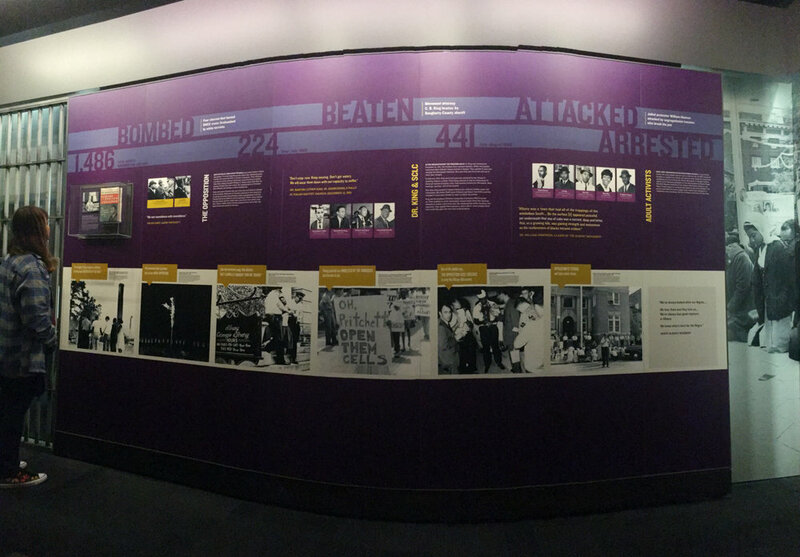 These walls in the museum were all about The Albany Movement in Albany, Georgia. 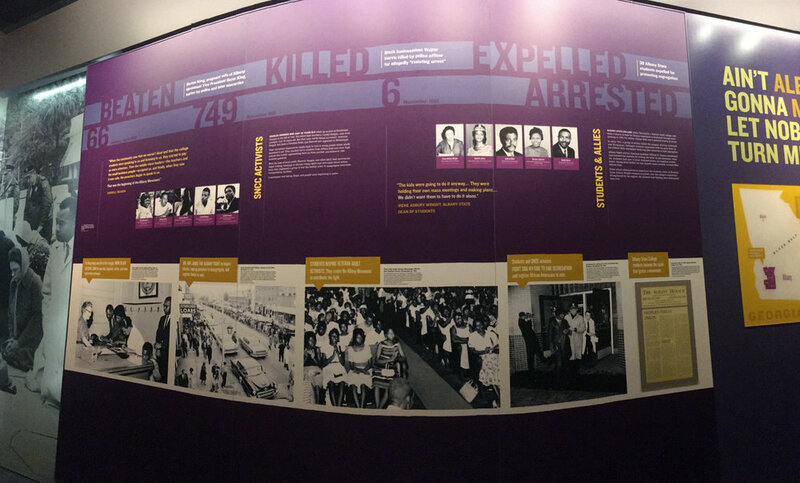 I took a panorama shot of both walls so you could get a glimpse of some of the extensive exhibits in the museum. One of my favorite parts of the museum are the interactive phone exhibits. There are a ton of different types of interactive exhibits but these are really cool. Throughout the museum there are these phone stations. 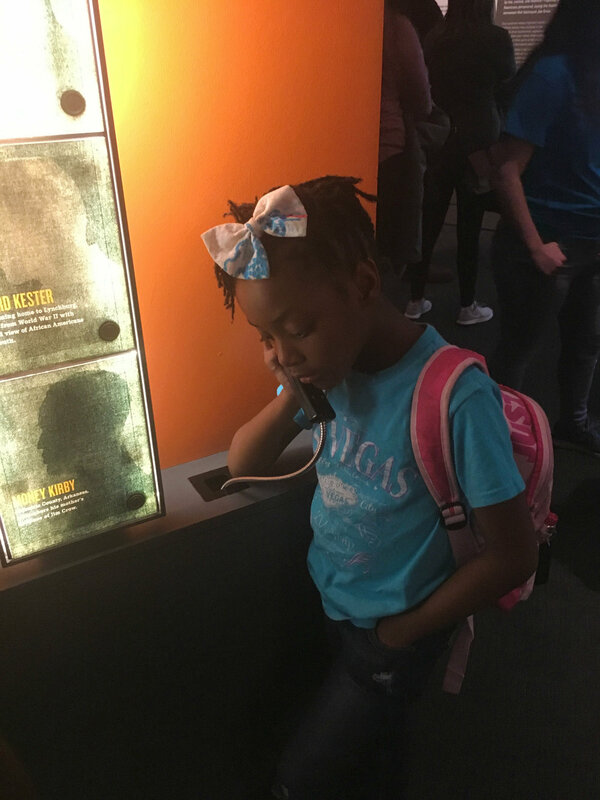 Each station has a number of different people you can “call.” This is a picture of my niece using one of the machines to hear the story of a civil rights leader. One of my favorite written works from Dr. King is Letter From A Birmingham Jail. He wrote this letter when he was arrested and in jail in Birmingham, Alabama. If you have never read this, you can read it here. African Americans and law enforcement have never been on the best terms. I love that the National Civil Rights movement turned this notion on its head and based a large part of the movement on not being afraid to go to jail for what is right or not being afraid to break unjust rules. This is another picture of me with my niece. In this picture we are sitting on the bus, at the front of the bus. In a lot of cities, public transportation was very important. It was how so many people got to work and to their homes. Rose Parks was such a phenomenal woman. She broke the “law,” but it was for a good reason. People should be able to sit were they please and not be relegated to second-class citizenship. Here is another example of how some of the exhibits are set up. I love that it’s a mix of text and Civil Rights movement documents. This is one of my favorite pieces to see every time I go to the museum. I just love the messaging behind this part of the museum. 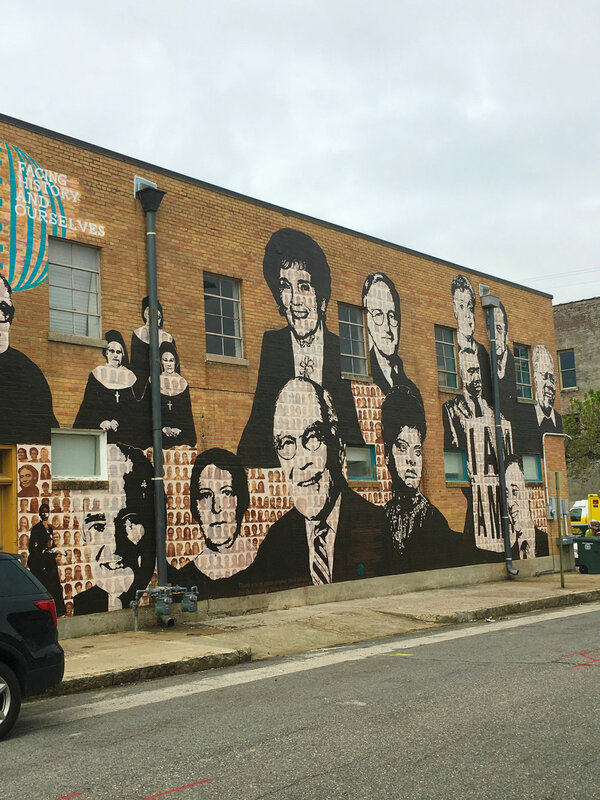 There are a ton of murals celebrating the National Civil Rights museum and the Civil Rights movement in general. I love this mural that was beside the museum. 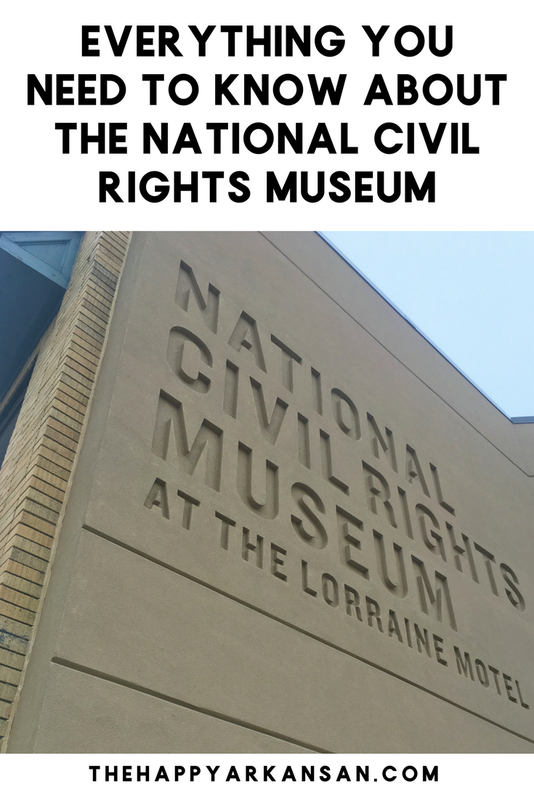 There you have it, my full guide to all things National Civil Rights museum. If you haven’t gone to this museum yet, you need to visit it! Tennessee has so many hidden gems. There is a chance that I will do other breakdowns like this for other museums in the coming months. If you want other museum reviews, let me know. I love going in depth and giving you all the details you need to know about places I visit. 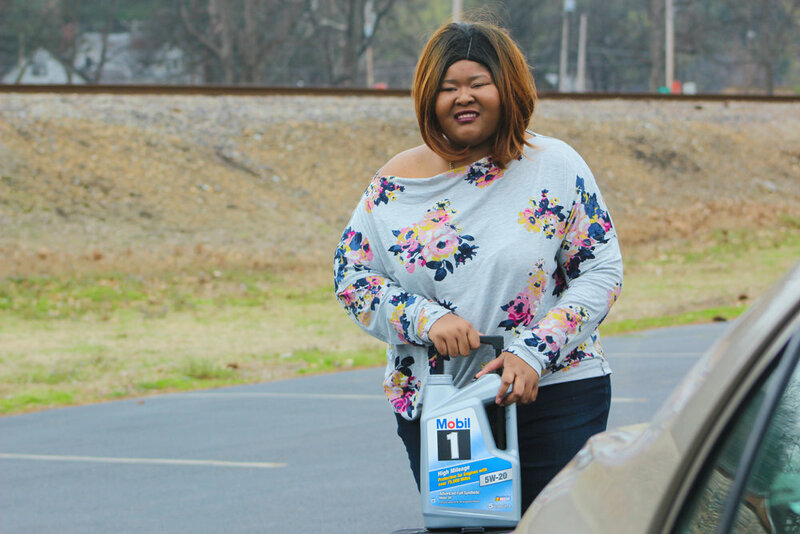 It’s road trip season, y’all! In my neck of the woods, the weather is starting to get warmer and I am ready to be on the road with my family. In fact, we are going on a trip this weekend to celebrate my birthday! 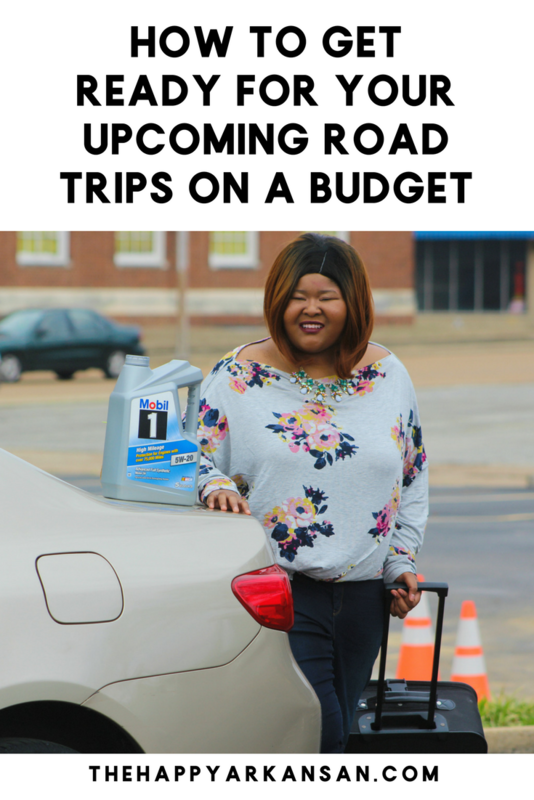 Before that happens though, I teamed up with ExxonMobil to share a few tips and tricks on how to get ready for a road trip on a budget. Whenever you go on a road trip, you have to know where you are going. Take some time before you hit the road to map out getting to your destination. You can do this on the way, but I like taking the time to do it before I leave. I find that you are much more confident on the road if you know where you are going before you get in the car. We have a GPS on our phones, so utilize that to see a path to your destination. Snacks are so important for road trips. Being able to buy a bunch of snacks at your local Walmart instead of going to various gas stations along the way is great. 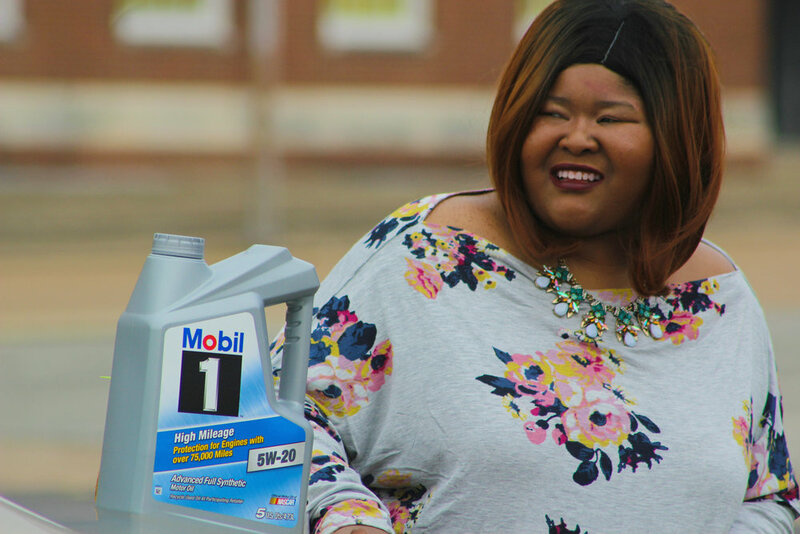 Plus, while you are at Walmart, you can pick up some Mobil 1™ oil for your car! Road trips are even better if you have a cooler. You can pop all the necessary cold snacks into your cooler, while you have a couple of snacks like chips and popcorn outside of the cooler. This will help you stay on the road longer and save money on snack purchases in the long run. As long as I could remember my dad was extra safe whenever we went any long distance in our car. He would always wash it, check under the hood to make sure everything looked good, and even check/change the oil on the car. I was always unsure of his overly detailed nature when it came to driving on the road, but as I have gotten older, I can respect this. Checking your oil (along with all the other important fluids) is so important. It’s never fun to be stranded on the side of the road, especially if you are some place new. I recently went to my local Walmart and I got to see all sorts of awesome ExxonMobil Mobil 1™ products. They have various different products depending on the needs of your car. What I love most is Walmart and ExxonMobil’s oil selector tool. Before my dad and I went to Walmart, we checked out the tool on my phone to select the best motor oil for the car. 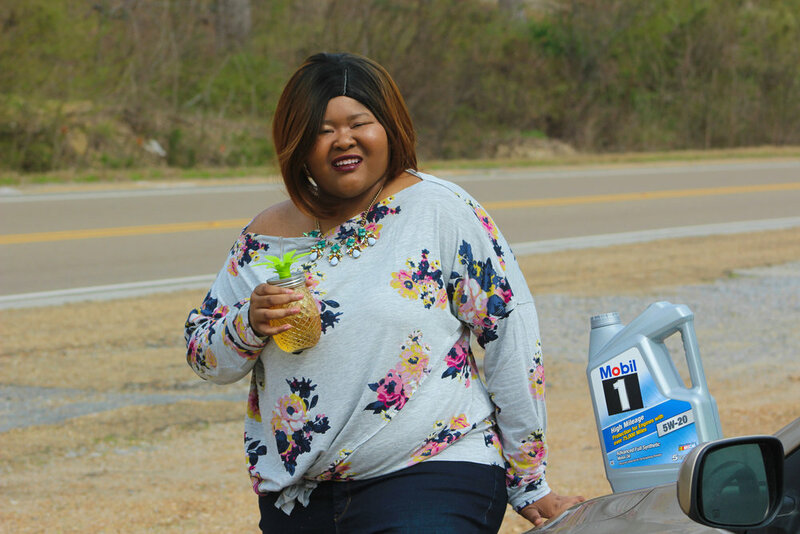 Then it was super simple to go to Walmart and pick up the right oil. 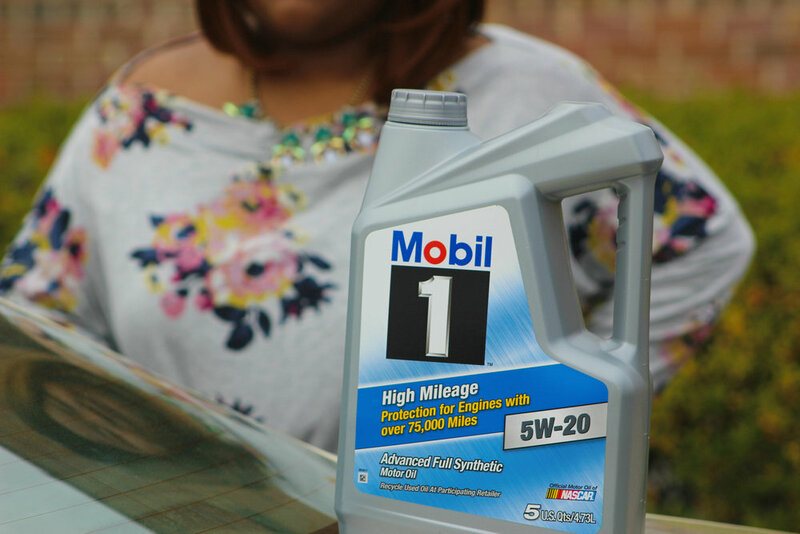 We ended up getting the Mobil 1™ High Mileage version, as it was one that was recommended to us, and one we thought our car would benefit from. One version that looked extremely interesting was the Mobil 1™ Annual Protection version. 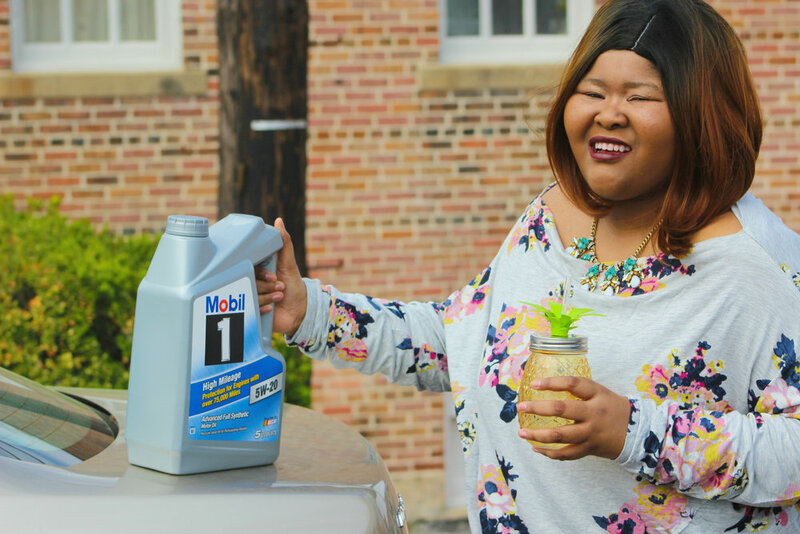 In fact, If every car in the U.S. used Mobil 1™ Annual Protection we would prevent or reduce enough CO2 emissions to fill the Empire State Building more than 5,000 times*! 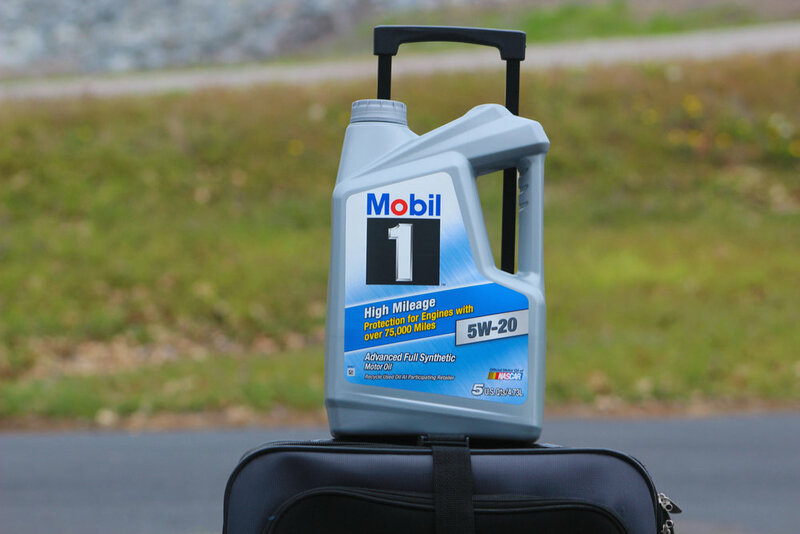 Mobil 1™ can reduce the carbon footprint of your vehicle by the CO2 equivalent of 96 lbs. 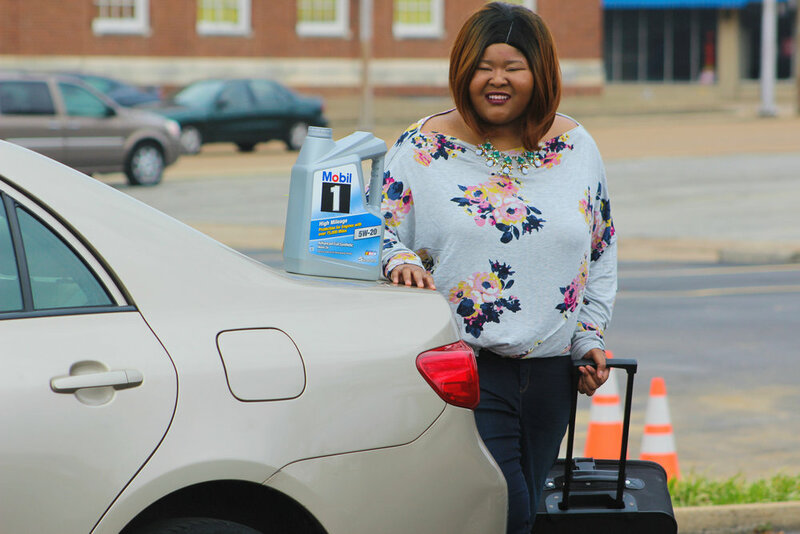 ** This is great for road trips because you can travel all while impacting the environment less than you normally would with most oils. Taking care of your car is so important for the longevity of your trip. If you take the time to look after your car you can avoid heavily priced experiences like getting a car towed and serviced in a city you don’t know that well. To support Earth Day, ExxonMobil is doing something pretty special! They are giving away a Chevy Equinox! Do you want the chance to win a Chevy Equinox, plus $10 off your next Mobil 1™ purchase at Walmart? Well, here is what you gotta do! 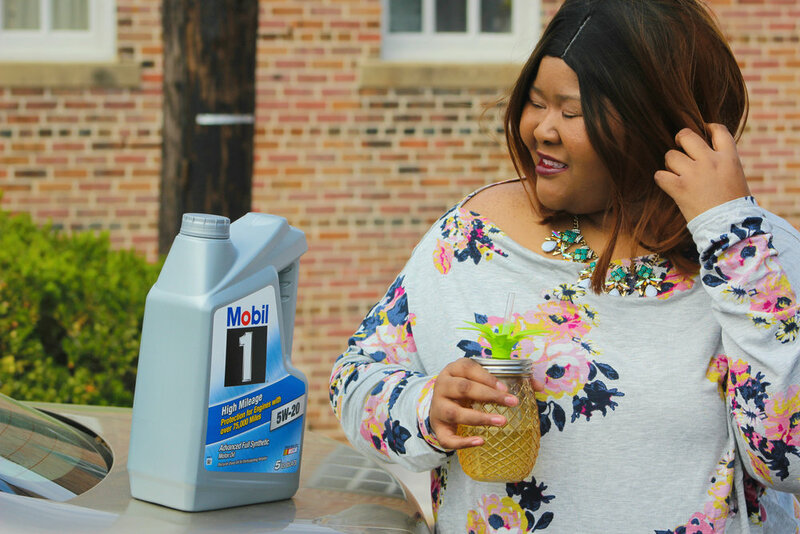 If you enter by purchasing 5 quarts of Mobil 1™ or getting a Mobil 1™ oil change at the Auto Car Center you are also eligible to receive a $10 Select Certificate valid on a future Mobil 1™ purchase at Walmart. To enter the giveaway and/or get your $10 Select Certificate you must go to earthdaydriveaway.com to fill out the entry form. It’s super simple and it just requires a bit of information about you and a picture of your receipt to enter. Remember there is a limit of 2 entries in the sweepstakes per customer (1 for purchasing and 1 for recycling). 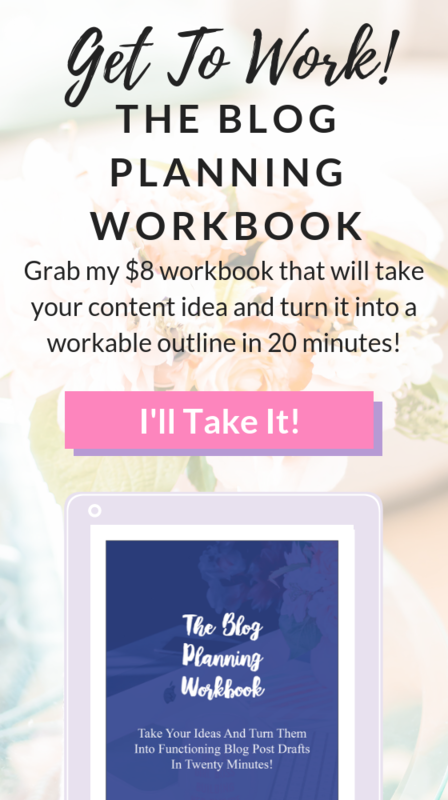 This promotion runs until April 30th, 2018! It’s hard to stay on a budget when you can just swipe your card for everything. I would never encourage you to be cardless, but I encourage you to take some cash out at the ATM before you leave on your road trip. Try to stick with all cash first, then for emergencies use your card. Your card should always be an option, but try not to make it the only option! It’s so easy to swipe away on your card. Utilize cash during your trip so you have to think about every purchase. This will help you become a bit stingy with your money so you are only spending it on things that matter. Each city, no matter how small, has some fun free things that you can do. Ask people around town if they know of any fun, free things that you can do before you spend a lot of cash. You should always do a couple of paid things, but don’t make them the entire trip! Some of the best ways to explore a city are free. See the town through the eyes of the locals and go exploring. Try to spot these free things before you ever leave your house so you know exactly how much of your time will be spent doing free things each day. Spring is the perfect season for getting away with a road trip! The open road is calling your name (or at least it’s calling mine.) Get out of your comfort zone this spring/summer and go exploring. There are so many beautiful places in the world to explore. so you can win a Chevy Equinox! **Estimates made based on CO2 equivalent emissions derived from Life Cycle Assessment of Mobil 1 vs. conventional motor oil. 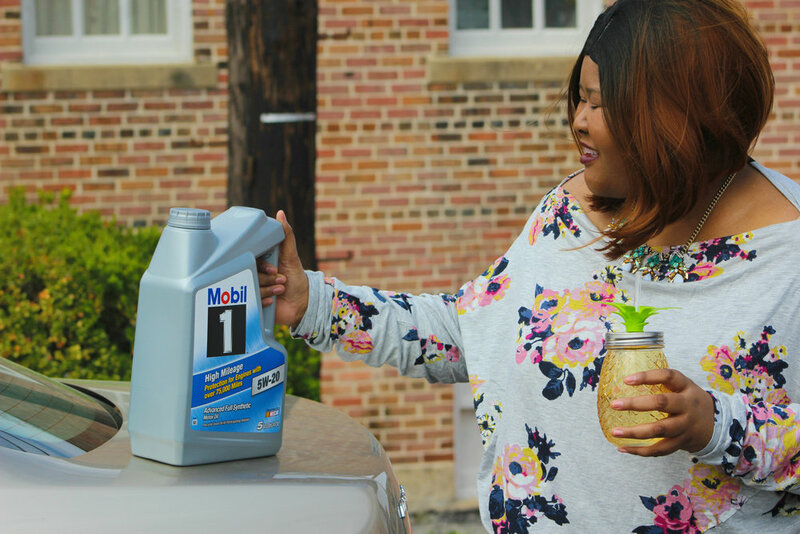 Assumes switching from a conventional motor oil of higher viscosity grade to Mobil 1 Annual Protection. 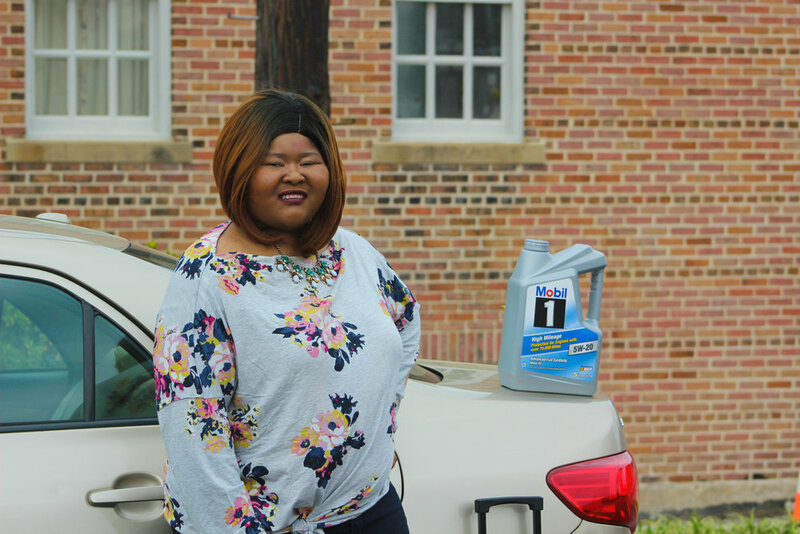 Include Production, Use, Disposal, and Fuel Economy attributed to motor oil over its lifetime. Calculation based on average U.S. vehicle engine oil sump size, average MPG, average oil change interval and average annual driving distance. Assumes nominal fuel economy improvement when switching from a higher viscosity grade to lower viscosity grade. Assumes new vehicles under warranty follow OEM recommend oil change interval. Mobil 1 Annual Protection is guaranteed to protect for one full year or 20,000 miles, whichever comes first. You may or may not obtain these benefits depending on how you drive and maintain your vehicle.